Bouquet of 18 White Roses with white fillers. No Flowers can bit the charm of White Roses. 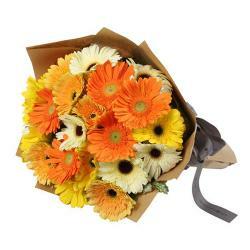 Giftacrossindia.com brings specially for you the bouquet of White roses which have pure and innocent beauty. 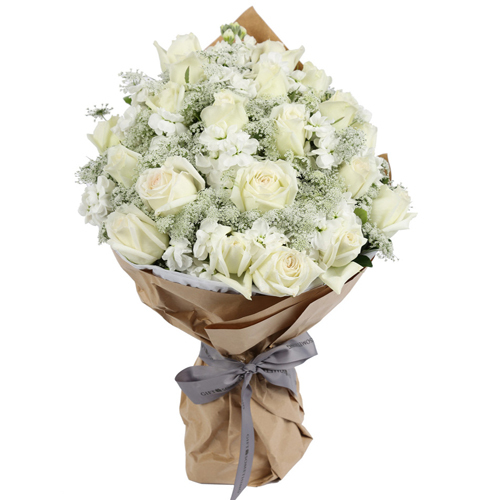 White roses can express the message of purity, love and innocence and care. 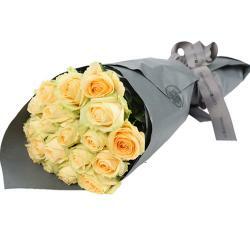 You can gift this white roses bunch to convey your innermost feelings to the one you love. Make him/her feel special by gifting this lovely bunch of white roses on this Valentines Day, Birthday, and Anniversary. You can send when you apologias and feel sorry. 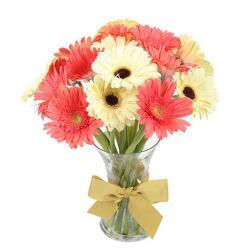 So go ahead and place your order now at giftacrossindia and get same day delivery without extra charges. 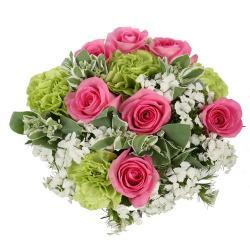 Product Details : Bouquet of 18 White Roses with white fillers.